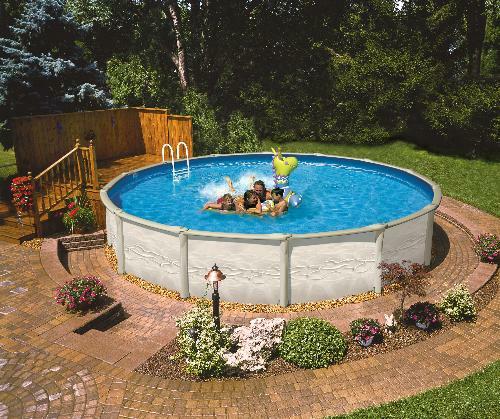 This above-ground pool comes with a 100% corrosion-free blow-molded resin structure with no screws or buttresses, and is backed by a 30-year limited warranty. Available in both circular and oval designs, the Aqua Leader Influence is a robust above-ground pool with corrosion-proof steel walls. With a design that includes protection against chemicals and humidity and that’s easy to install, it’s the ultimate choice in both convenience and durability.